For the past 18 months, residents of an area in Blauvelt in the Town of Orangetown have endured living in an area that literally stinks. Aluf Plastics plant has been emitting smells of burning plastic covered by annoying perfumed scents, nearby residents have complained over and again. As a result, the Town of Orangetown and State of New York Department of Environmental Conservation became involved to address the concerns. Aluf is now not only a smelly neighbor but a litigious one, filing a suit against the town and brand new Supervisor Chris Day, claiming the company has illegally been forced to pay for emission tests in the vicinity of their plant. Day, a veteran of the Afghanistan War, struck a warrior’s tone when told of the impending lawsuit. “I have a three word response to Aluf’s action: Bring it on,” he said. The parent company of Aluf Plastics, API Industries, Inc. is the entity that filed the lawsuit in Rockland County Supreme Court. In the past year and a half many studies have been performed hoping to pinpoint the cause of the odors and to take steps to remediate the ongoing smelly issues. Aluf participated in these studies and publicly stated they wanted to be good neighbors and get to the root of the problem. Aluf signed a Consent Order with the town agreeing to remediation these issue and that it undertook certain actions to resolve the foul odors and address the residents’ concerns. Aluf claims it replaced a carbon bed that controls emissions from its processing area years ahead of the required schedule, they implement controls of materials received at the plant for processing, upgraded its ventilation system and improved management supervision to prevent accidents. But in its lawsuit, Aluf claims the Town Board acted contrary to law by adopting a resolution requiring Aluf to pay the costs associated with an air emissions study, that the Town Board violated New York State Law by retaining an independent engineering firm without competitive bidding and that certain provisions of the Orangetown Town Code are unconstitutional since they require a property owner to pay for costs associated with the Town’s retention of consultants. Aluf also alleges that the town retained certain consultants to perform testing and the results showed that the emissions were within accepted industry standards. However, the town then engaged the consultant to perform further testing at a cost of approximately $28,000. It is this cost that Aluf doesn’t want to pay for. The company also questioned whether its truly to blame for all the bad odors in the area. Aluf alleges that the town performed no studies of other commercial facilities located in the industrial area where the odors emanate from and that it was improper to assume it caused the odors. It also alleges that the imposition of costs associated with the consultant studies was approved after it received approvals from the Town Zoning Board of Appeals and Planning Board. The lawsuit seeks a declaration from the Court that the December, 2017 resolution was unlawful since the town law that allows for fees is inconsistent with New York State Law and was not properly adopted. The lawsuit also seeks a ruling that the fees should not have to be paid since no competitive bidding was performed. The town has yet to be formally served with the lawsuit. 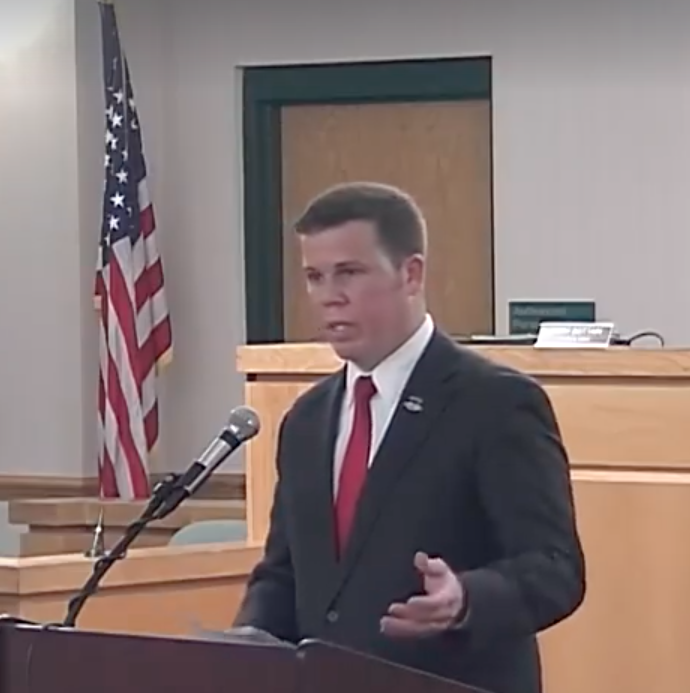 It is uncertain why Aluf chose to name Supervisor Christopher Day as a defendant since he did not take office until January 1, 2018 and all the acts complained of occurred prior to his administration. Calls made to the attorneys representing Aluf asking for comments on this lawsuit were not returned.